My day job is conservative, so conservative that open-toed shoes can be considered scandalous. 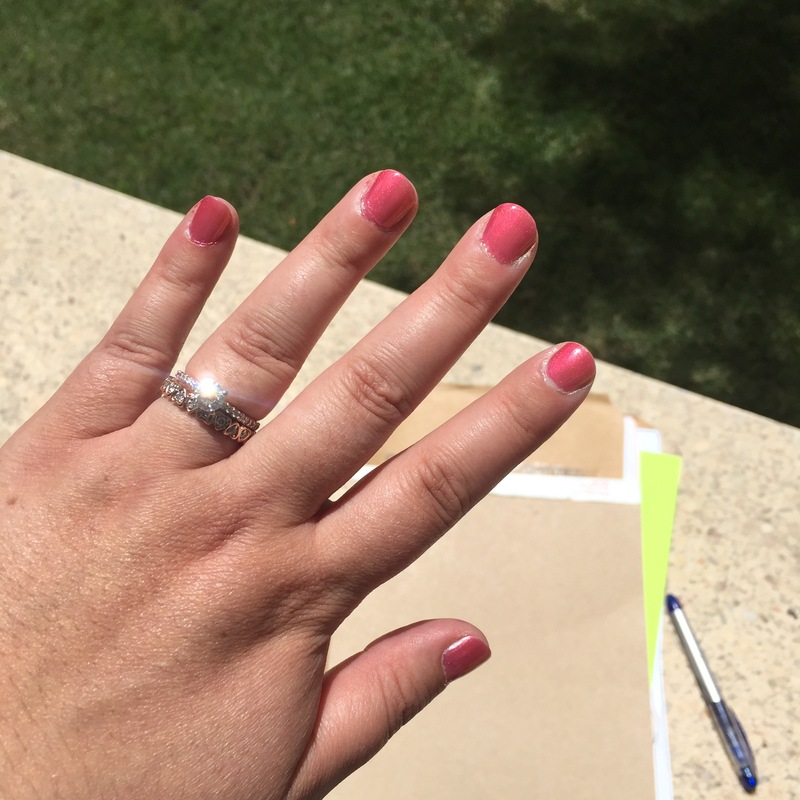 If you’re in the mood for a boost of color in your life and don’t want to save your fun nail polish for weekends and vacay, consider Ruby Wing polish. Check out this before photo. This was taken today while I got ready for work. Two layers of sheer shimmery peachy Ruby Wing polish called Lily Blossom. And here’s the SAME polish when I was out in the sun a few hours later. It’s called Orange, but I see it as a pinky coral shimmer. Go back inside and it will transform back into that very office- appropriate light peachy color. I stick my hands outside my car while driving just to see the color change. Too fun. I purchased this bottle on Amazon and also bought a grey that turns turquoise and a multi-colored glitter that turns glittery red. Best of all, the polish is good quality and easy to apply. Also, it’s scented. Kind of floral, but I can give or take that bullet point since I don’t sit around sniffing my fingernails. 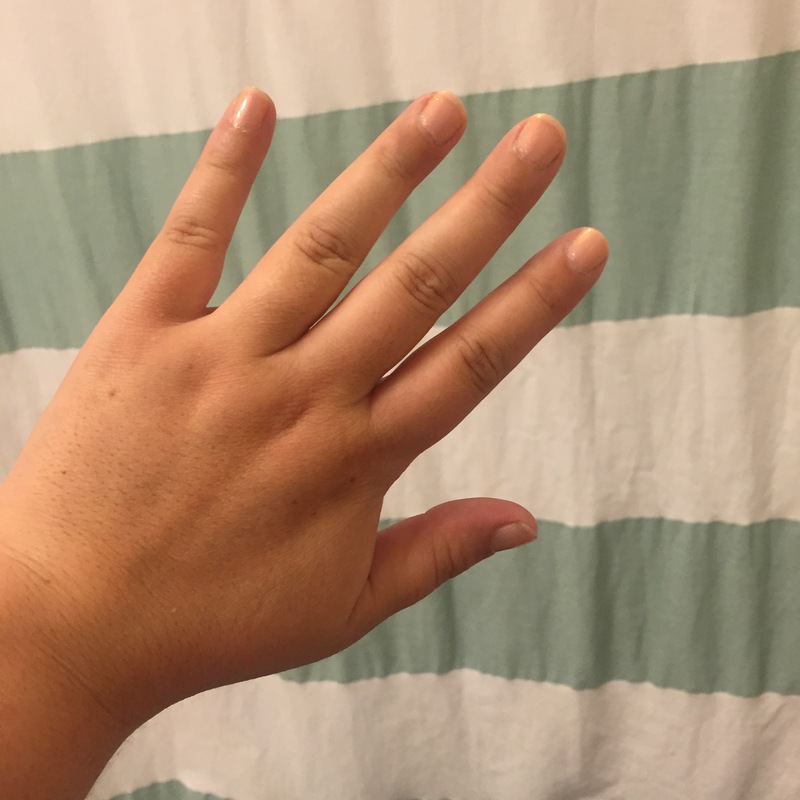 Here’s the bad news–the color change is due to UV exposure from the sun..which can mean sun damage and aging to your hands in the long term. Still, I’m a fan. Slap sunscreen on our hands and use this happy polish. I don’t know if these are available in stores–let me know if you see them. I wanna hoard them all.